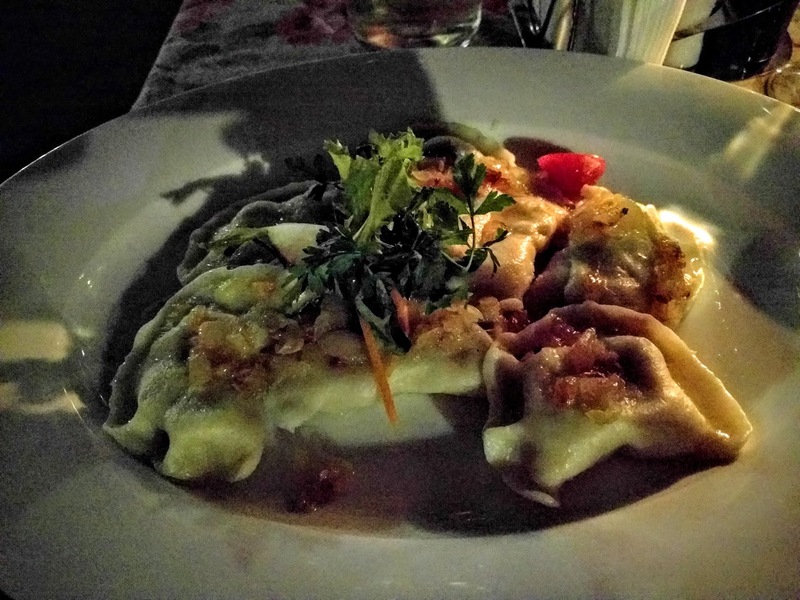 Have you experienced the Warsaw food scene? There are so many reasons to visit Poland but when we travel, food memories always linger the longest and Warsaw was no exception. 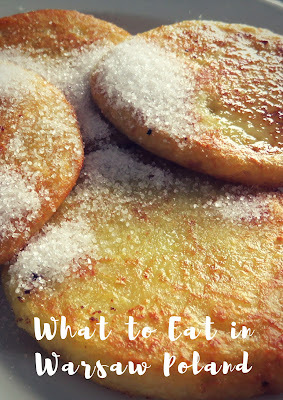 What should you eat in Warsaw? Eat your way through Poland’s capital with these 10 Polish foods to try on a weekend city break. 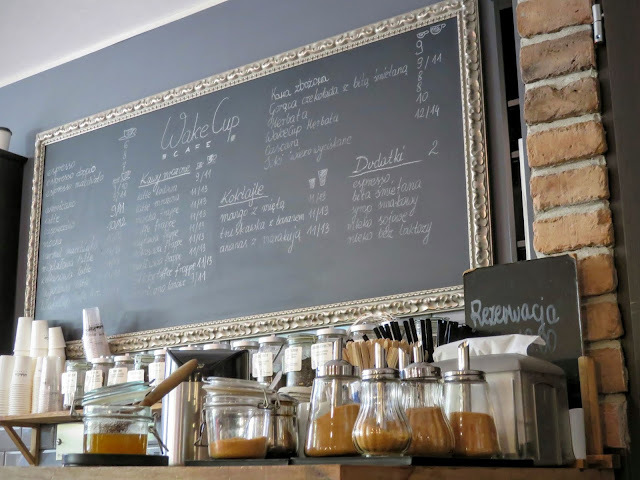 Read on and unleash your inner Warsaw foodie. 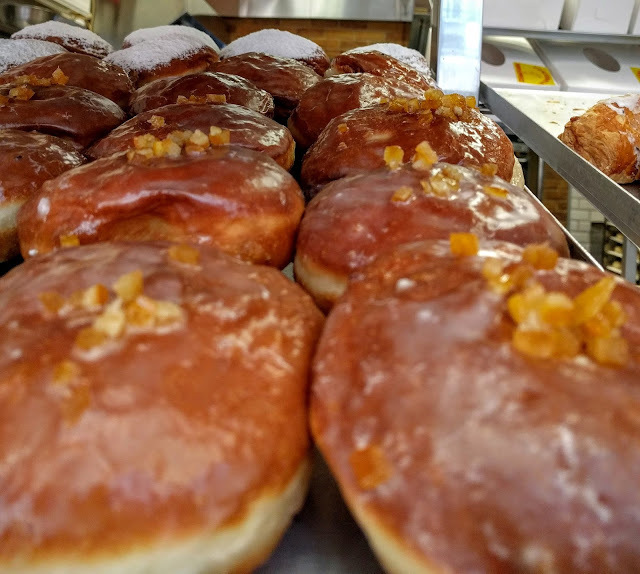 Warsaw is an easy place to sate a sweet tooth. 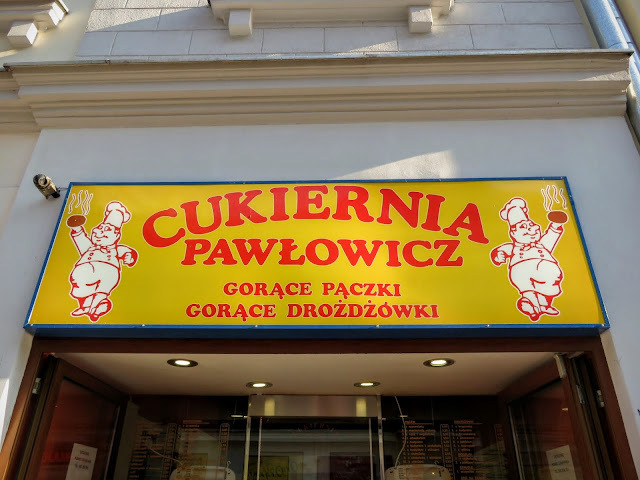 We stumbled upon Cukiernia Pawłowicz along pedestrianized Chmielna and were drawn in by the lovely smells wafting from the place and the long queue. Queues usually indicate that there will be something good at the end for those with patience. In this case, we sampled an orange and rose doughnut. 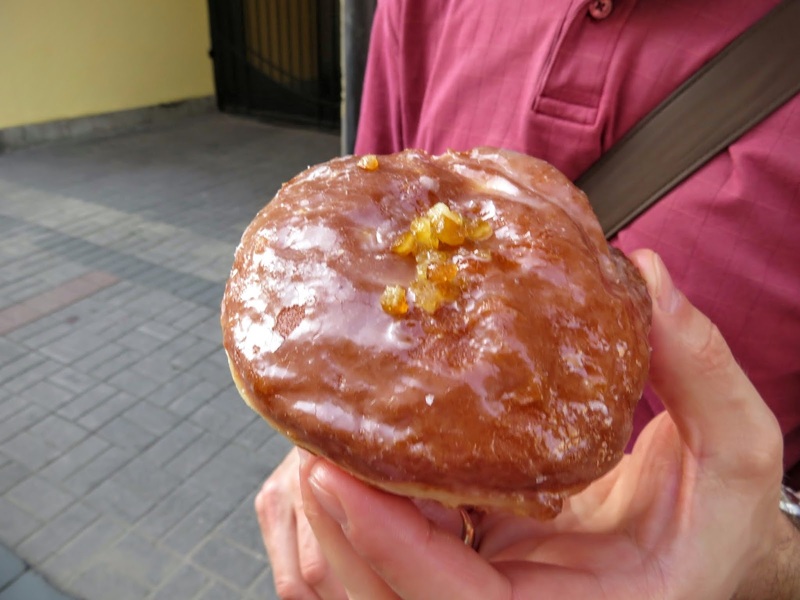 This Polish glazed confection was topped with candied orange pieces and filled with sweet rose jam. The flavor combination was unusual but yummy, a definite "must try" for an aspiring Warsaw foodie! Hidden in the back alleys behind Chmielna are a number of beer gardens. Sip a Polish beer at prices you'd never get at home (2-3 EUR a pint) while enjoying a bit of sunshine. 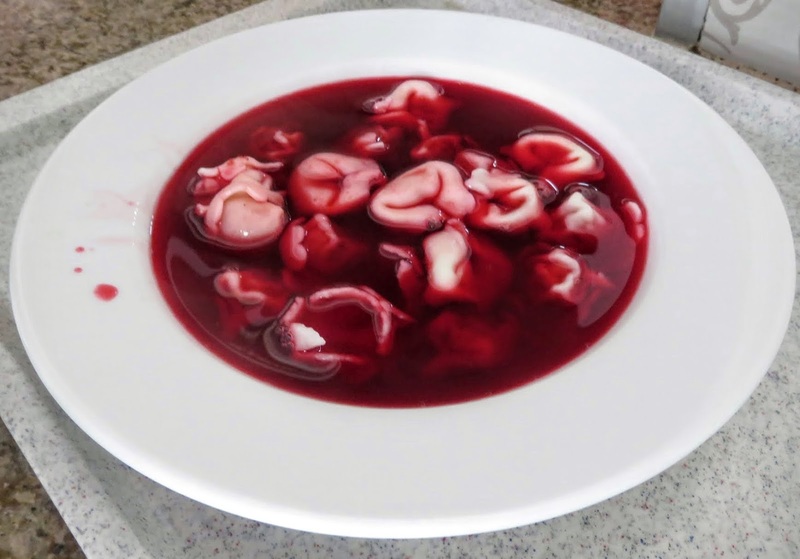 I love Polish food, although it can be heavy so bring your appetite! 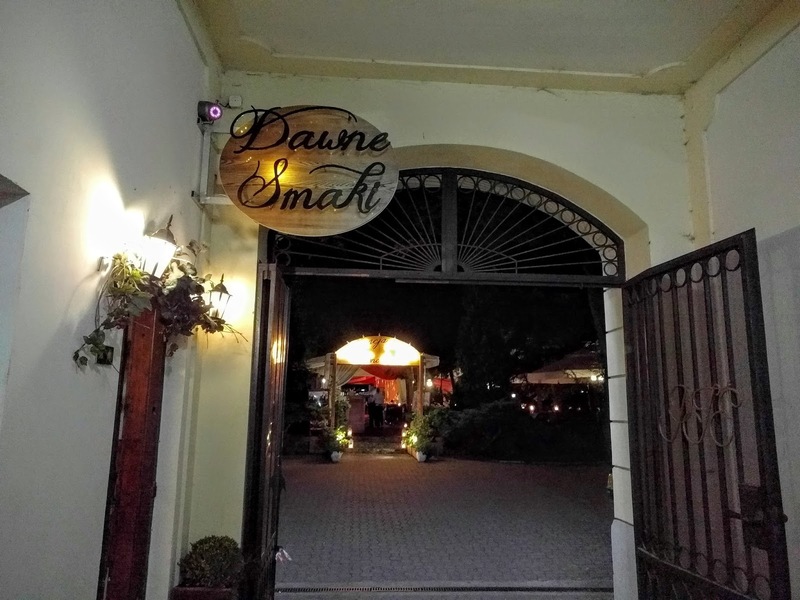 Restauracja Dawne Smaki combines the best of Warsaw food with a side of folk music in a garden setting for a lovely al fresco dining experience. 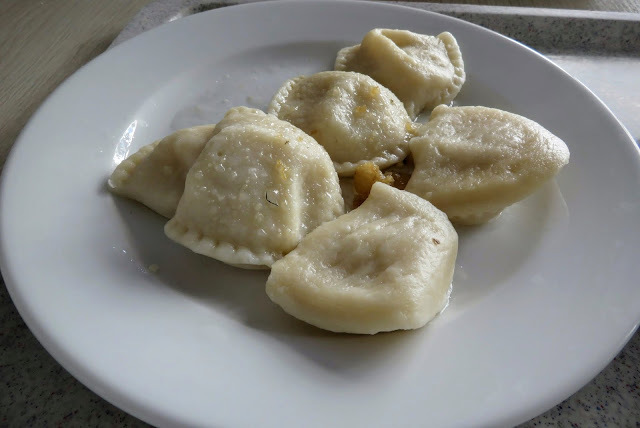 We sampled perogi filled with cheese and topped with bits of lard. 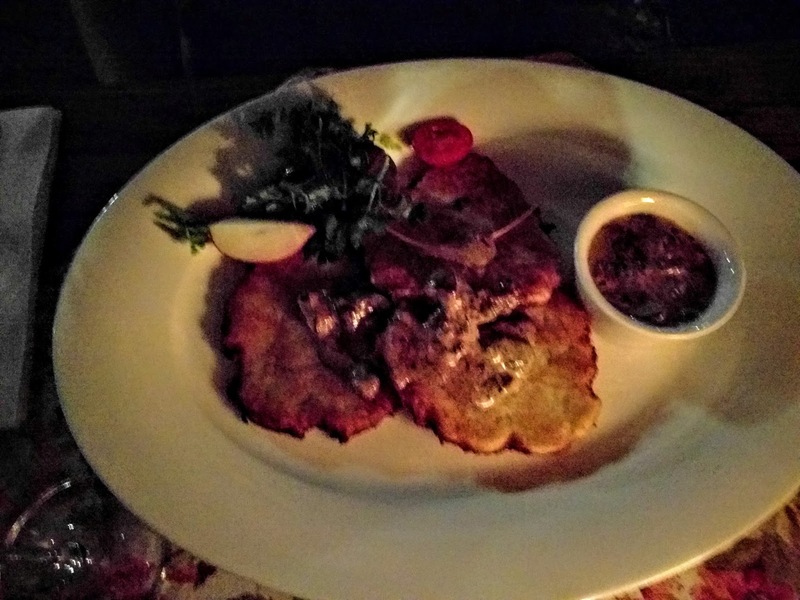 Potato pancakes with mushroom sauce were definitely a highlight. 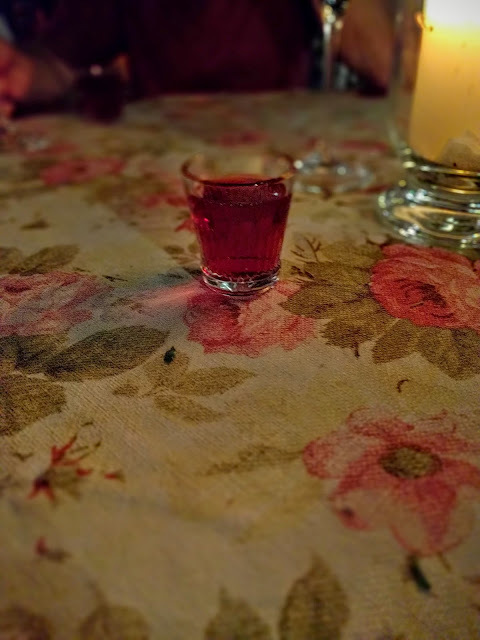 To help our digestion, we were served a complimentary shot of cherry vodka (tasted a bit like cherry cough syrup...yum). 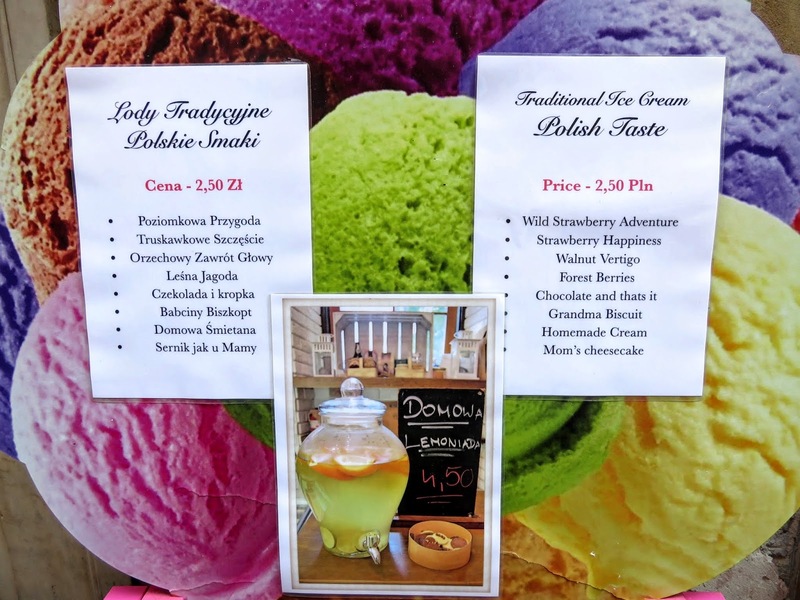 Summer in Warsaw is the perfect time to sample Polish Lody Tradycyjne (traditional homemade ice cream). We stumbled upon an ice cream shop and were lured in by the low prices: about a euro for 2 scoops! I tried cream and wild strawberry and Scott sampled forest berry. We stood and ate our ice cream on the Old Market Square admiring the reconstructed buildings and reflecting on Warsaw's history. 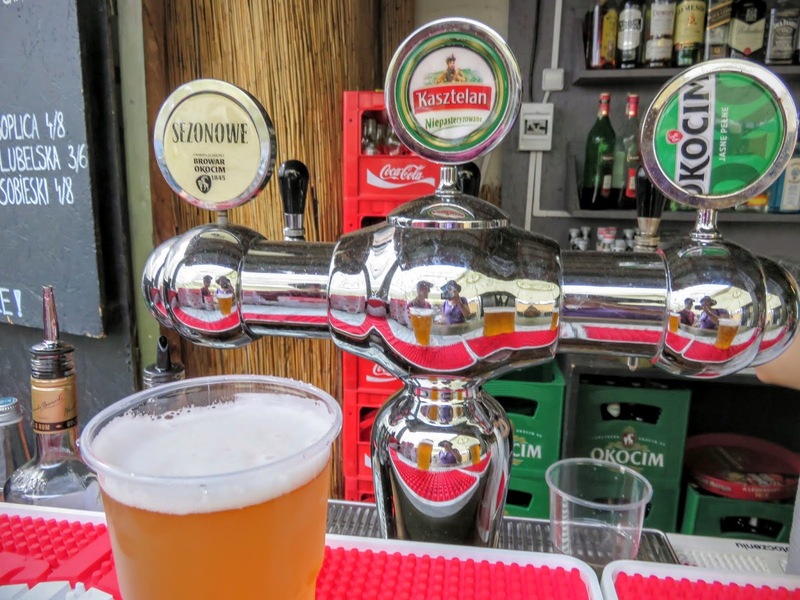 The New Market Square in Warsaw features lovely sidewalk cafes serving up modern Polish food. 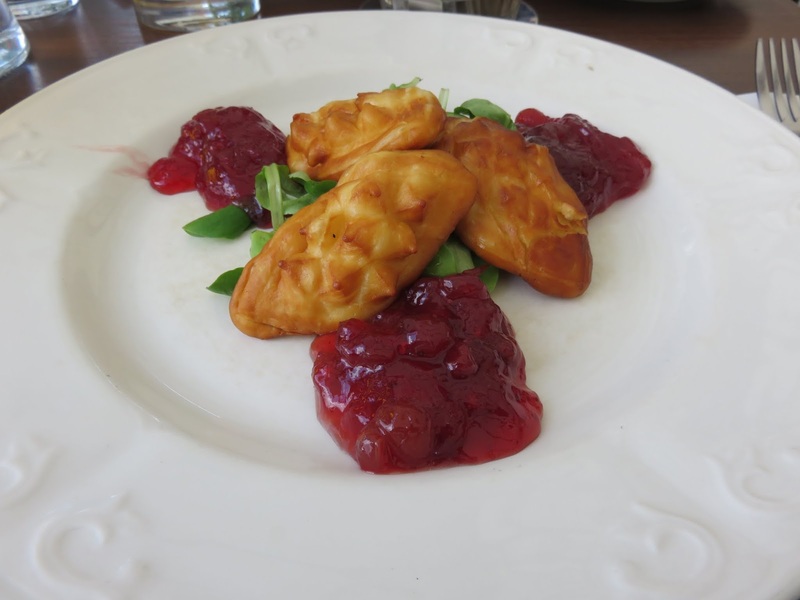 We sampled smoked cheese and cranberries at Freta33 washed down with a pint of old fashioned Polish beer. Polish food can be a bit heavy so a dose of caffeine is in order at least a couple times a day to keep energy levels up. 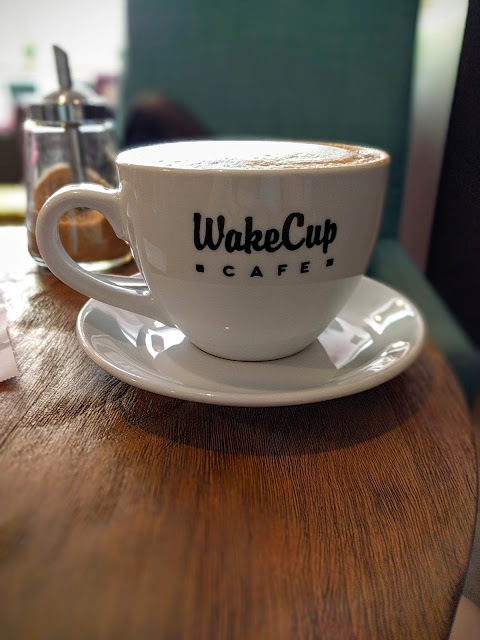 We discovered Warsaw's WakeCup, an artisan coffee place serving a well-crafted cuppa. Try a cappuccino with a slice of blueberry cake for a perfect afternoon treat. 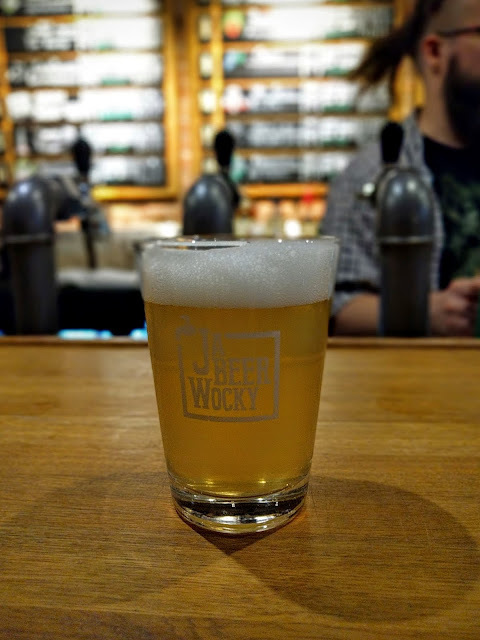 After dark, we made our way to JaBeerWocky, a popular craft beer bar with an outlet that also sells craft cider and whiskey. We drank a Polish cider made with locally sourced apples for a refreshing treat and then walked next door to the main bar where more than 15 taps featuring craft beers from around the world greeted us. 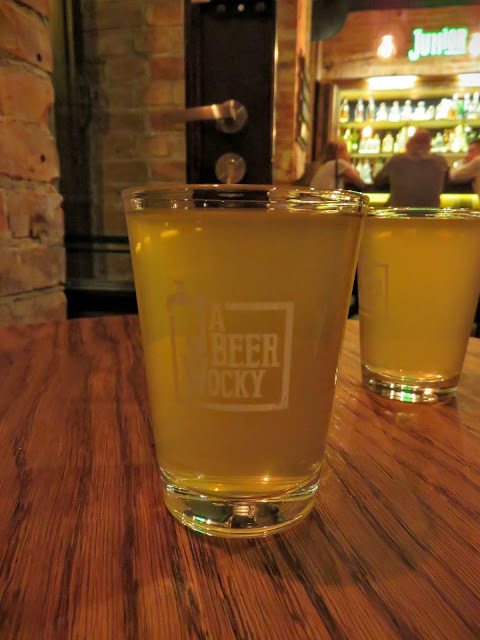 Since we were in Warsaw, it was a no-brainer to stick to the local beers. A frothy saison hit the spot. Milk bars are a quintessential Warsaw food experience. 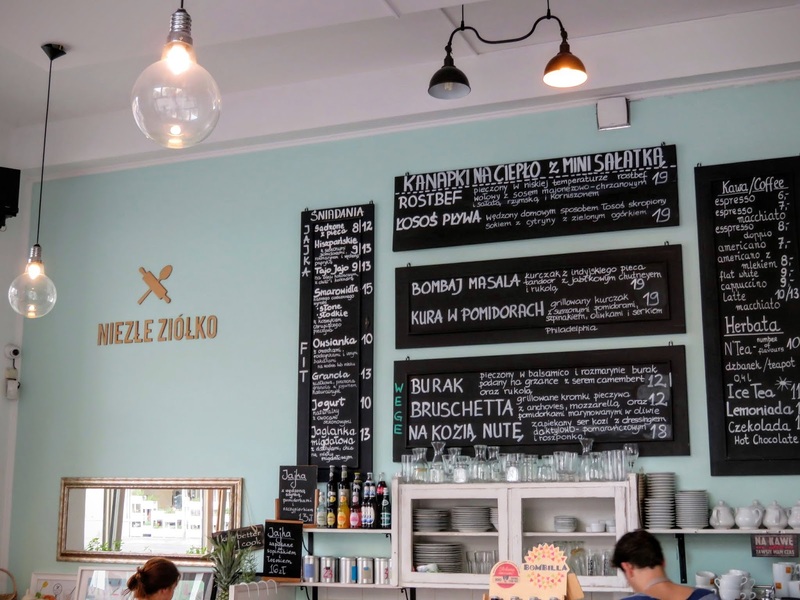 Harkening back to the communist era, milk bars serve up hearty Polish food at rock bottom prices. 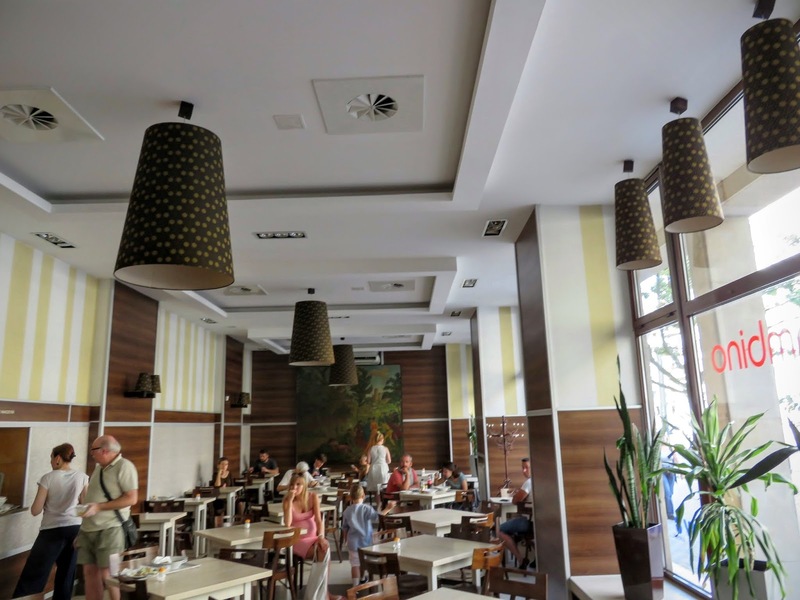 We tried Bambino Bar located between the city center and Łazienki Park. and traditional dumplings (Russian style with cheese) cost us the equivalent of about 5 EUR in total. 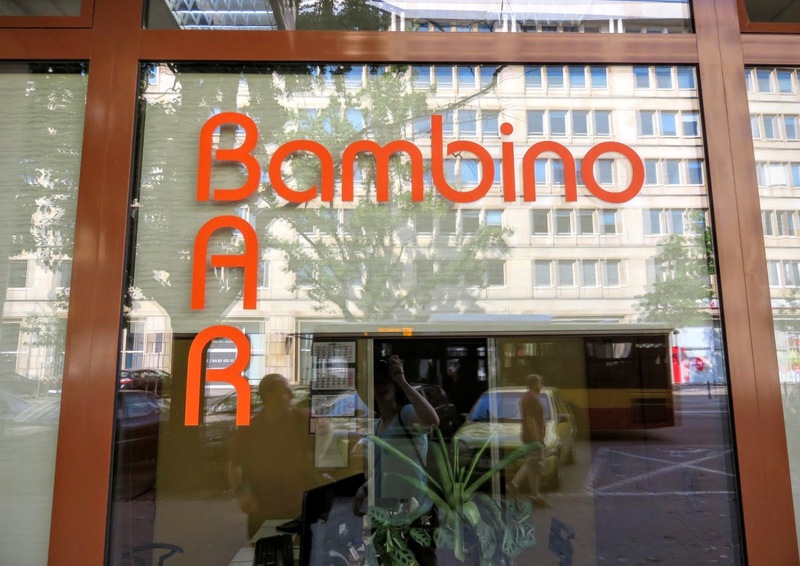 Our experience at Bambino Bar stood in stark contrast to Niezłe Ziółko. This airy cafe standing just up the street from the milk bar features high end snacks and beverages. 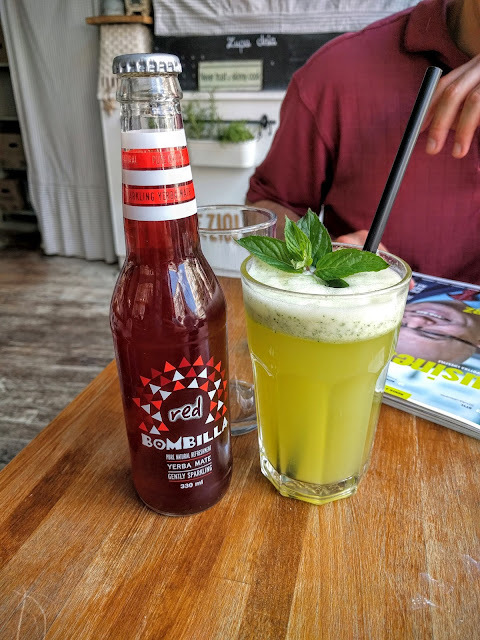 The sun was shining in Warsaw and it was extremely warm when we visited so we stopped for a homemade lemonade and gourmet soda. The floor to ceiling windows were open for an al fresco dining experience alongside other Warsaw foodies. 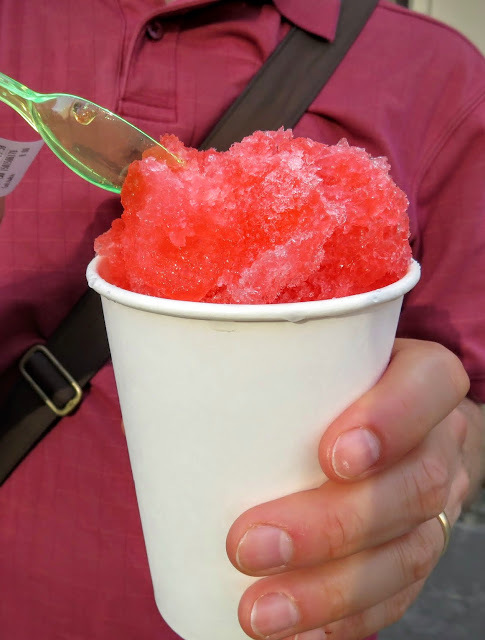 No summer visit to Warsaw is complete without a snow cone! (lody szronowe). We noticed a queue outside a small window just to the side of a local liquor store. The ice is freshly carved from a huge block and then doused in sweet syrup. We ate a 'Good Morning Sunshine' which was a combination of watermelon and blood orange for a fantastic refresher in the afternoon heat. As you can see, Warsaw's food is a highlight of a long weekend city break in Poland's capital. What should you eat in Warsaw? From savory to sweet and everything in between, you definitely will not go hungry! 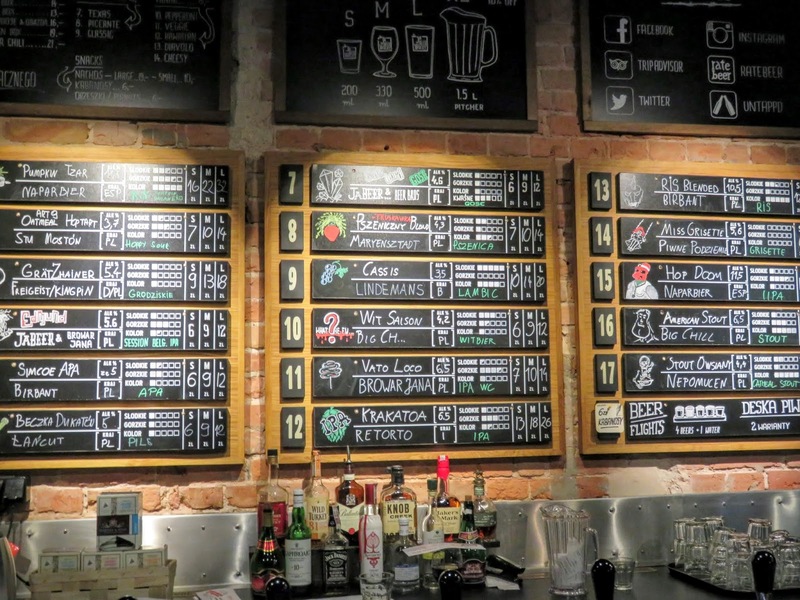 Check out this Warsaw food map for locations of the restaurants and bars covered in this post. Have you been to Warsaw too? What are your favorite Warsaw foods? 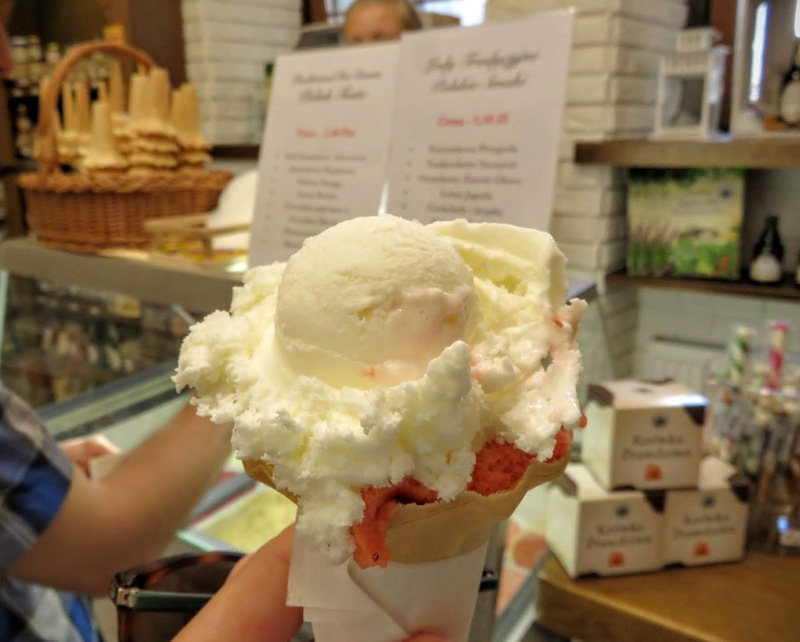 Learn about what to eat in Warsaw, Poland on a weekend city break in summer. 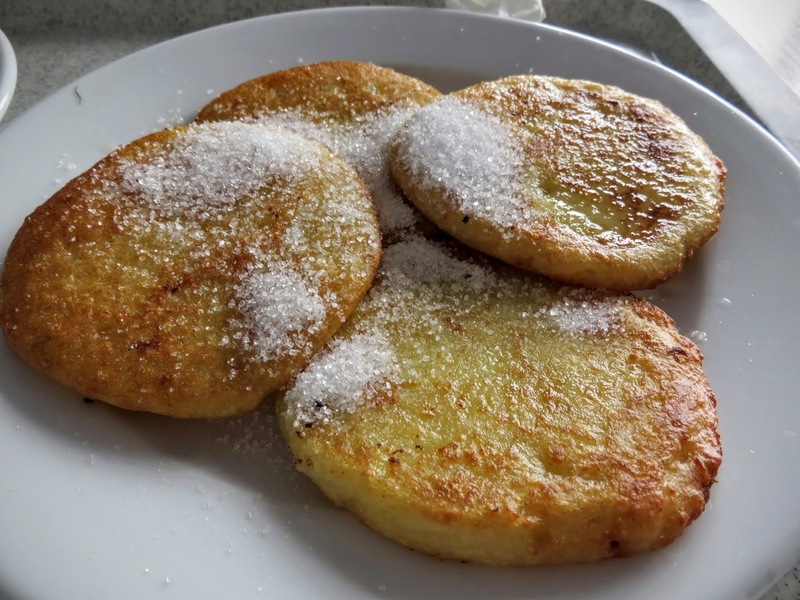 Discover typical polish foods and unleash your inner Warsaw foodie.